Colombian President Juan Manuel Santos may have received the Nobel Peace Prize, but peace has not come to Colombia. 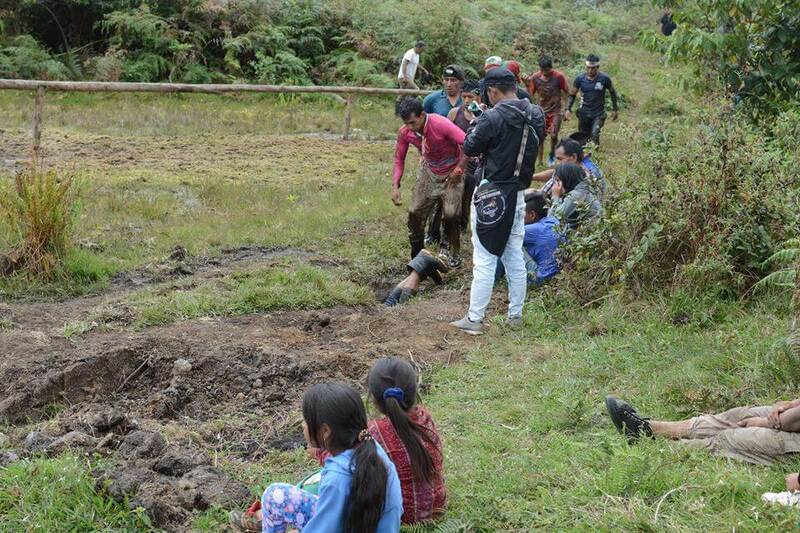 Social leaders and members of indigenous communities have been targeted in a wave of assassinations that has swept through the countryside during this supposed “post-conflict” era–and the state has failed both to stem the killings and to curtail the spread of illegal mining and drug trafficking. 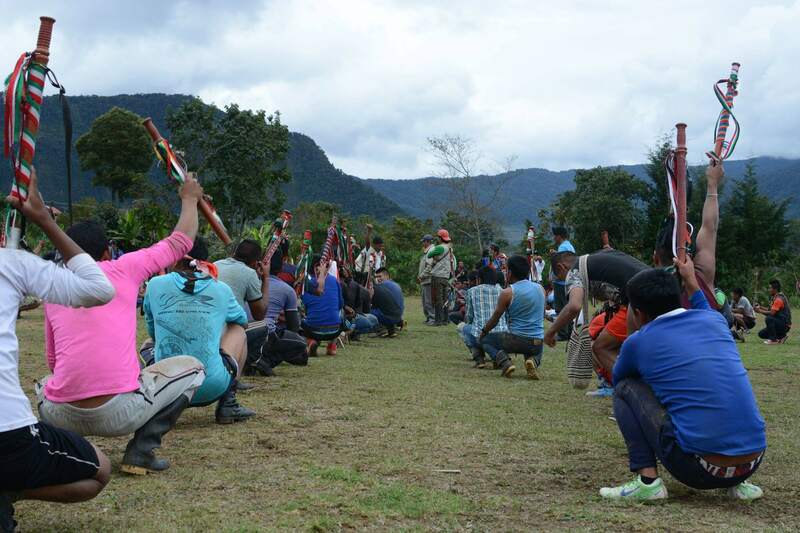 Indigenous guards are elected by their communities and mandated to protect Indigenous lives and territory without the use of arms. Throughout both the civil war and the undeclared battle for territory and resources that has followed it–and carrying only the staffs that serve as their mandate of office–Indigenous Guards have been killed by non-state armed groups of the left and the right, by the forces of the state, and by mafias unaligned to political ideologies. 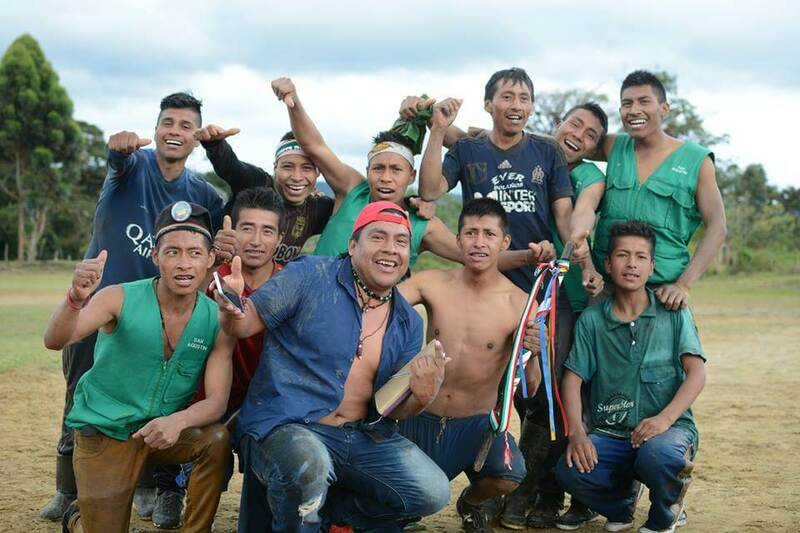 Yet they have also succeeded in arresting heavily armed opponents and submitting them to the justice systems of indigenous territories and the state. 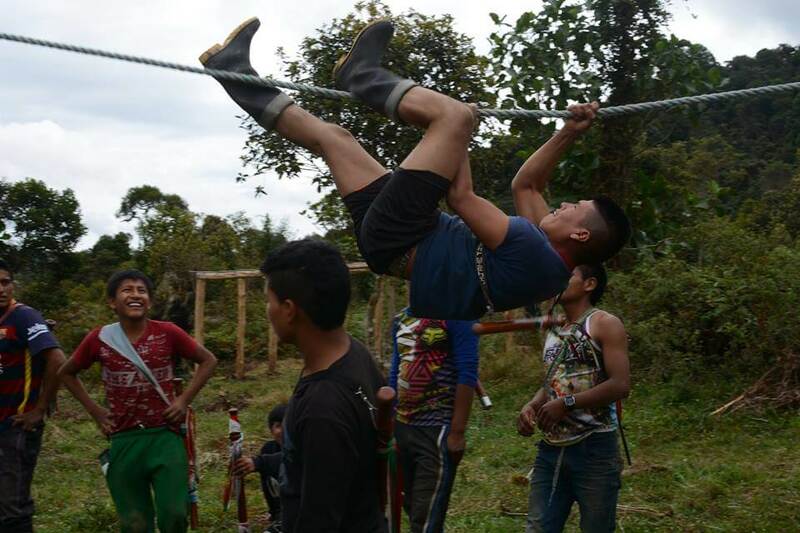 Today new challenges arise as communities consider whether Indigenous Guards should be paid and become professionals, and whether or how they should integrate their function with that of the Colombian police. No region of Colombia has been more affected by the newest wave of assassinations than the department of Cauca in the southwest. 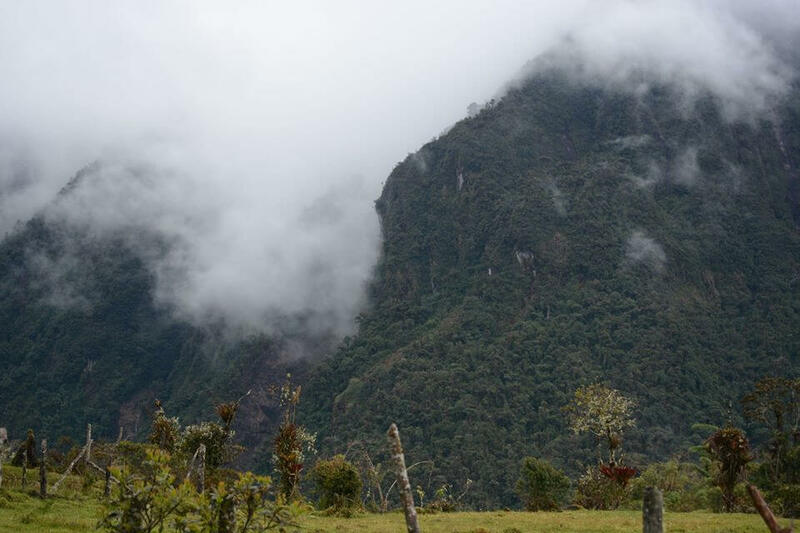 The reservation of Juan Tama lies on the border of Cauca and Huila departments, high up in the Sierra Central. 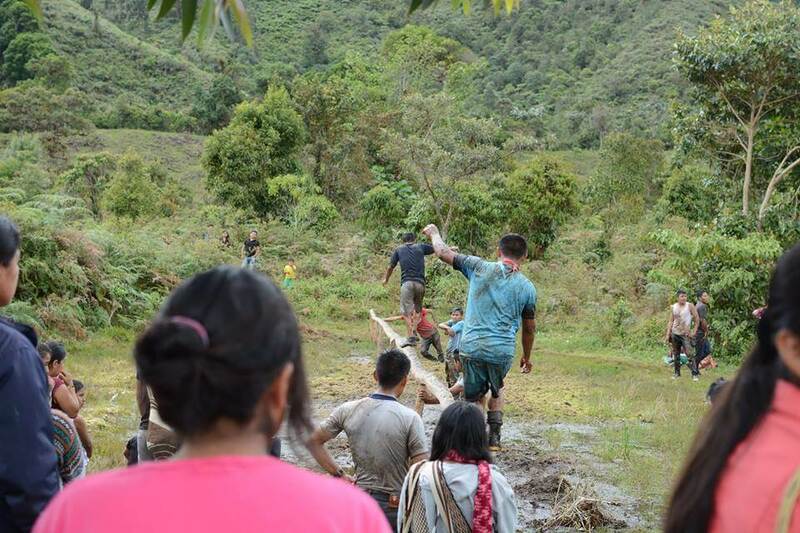 Juan Tama contains a training ground where Indigenous Guards from Nasa, Misak, and Yanakona communities regularly meet to challenge each other and themselves. 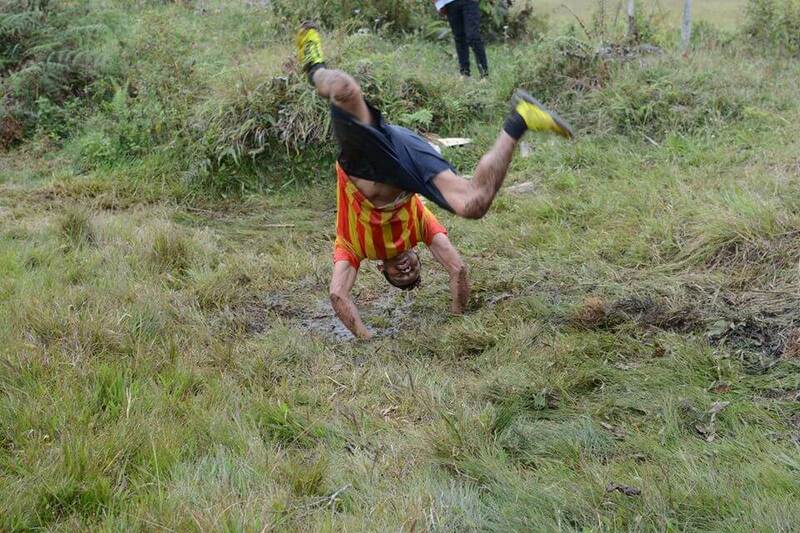 Intercontinental Cry recently had the opportunity to visit Juan Tama during one of these spirited competitions. 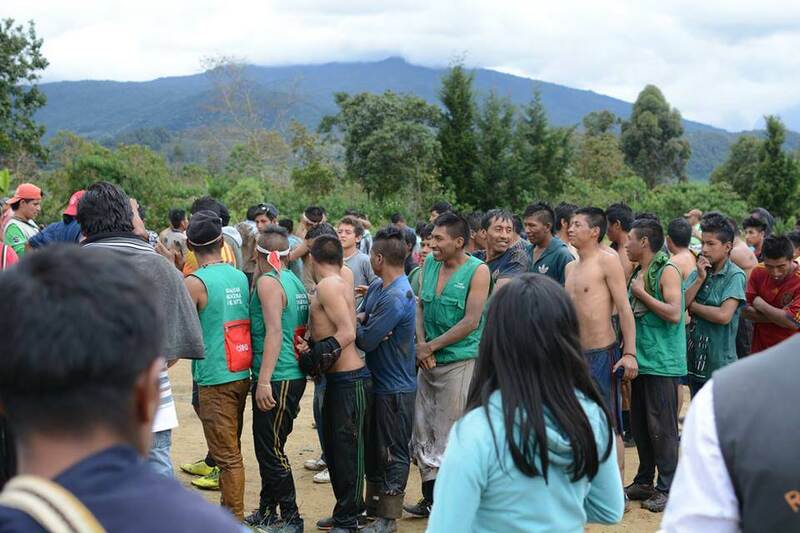 Indigenous guards gather for the meeting that precedes the race. 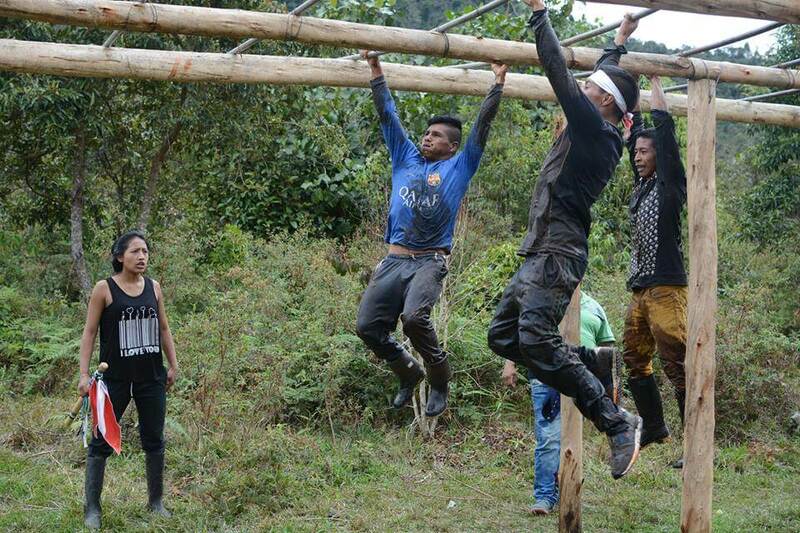 Over the course of one single day, teams of indigenous guards must go through an obstacle course that has to be completed while racing against the clock. 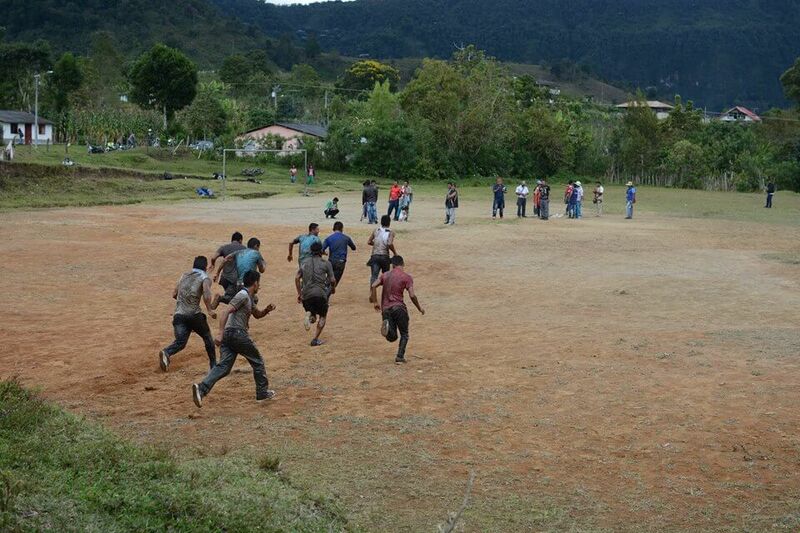 This particular event saw a competition between Nasa, Yanakona and Misak reservations from across Cauca and Huila. 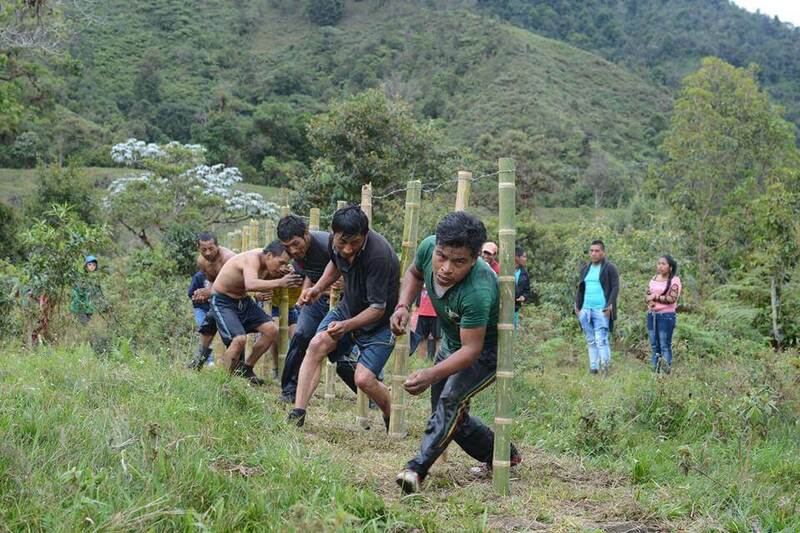 The obstacle sees regular competitions with indigenous guards from several reservations taking the opportunity to improve their teamwork and strength. Guards practicing on the assault course before the competition. 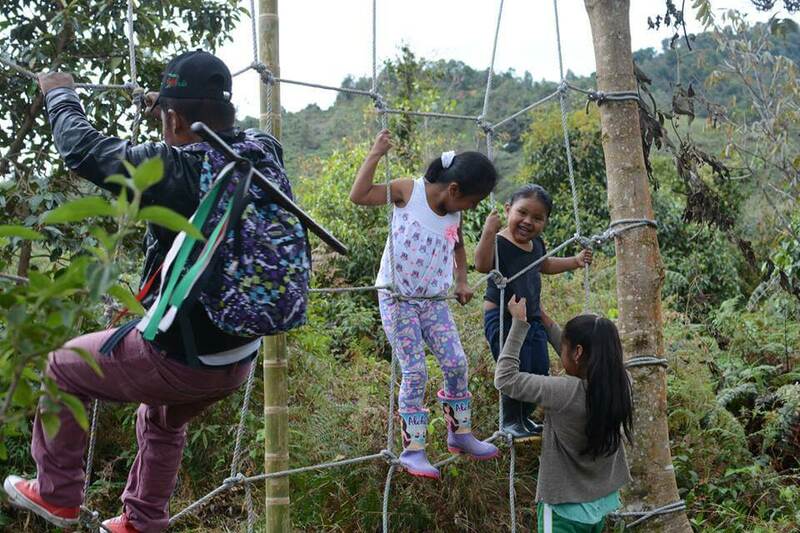 Children play on the assault course as guards practice before the competition. 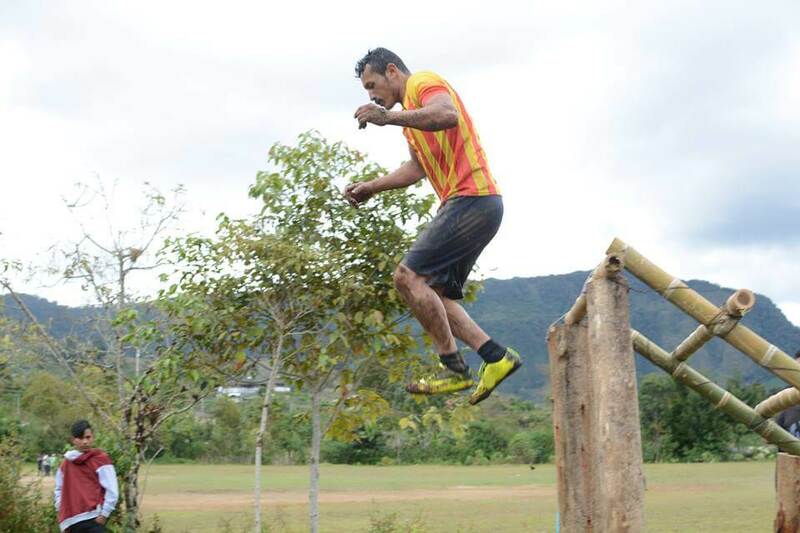 An Indigenous Guard takes his time completing an obstacle. When racing against the clock, it becomes much more difficult. The life of an indigenous guard is not for the faint of heart. It comes with great personal risk and an even greater responsibility, as Fredy Chikangana, a poet and ‘Amauta’ (An Amauta is a Qechua word translated to mean, “messenger from the ancestral knowledge of the Yanakona People”) from the Yanakona reservation of Rioblanco, would tell us in a later interview. The first team that raced against the clock. This particular obstacle consists of barbed wire strung between posts. “To be a good indigenous guard one needs to have physical and mental readiness. 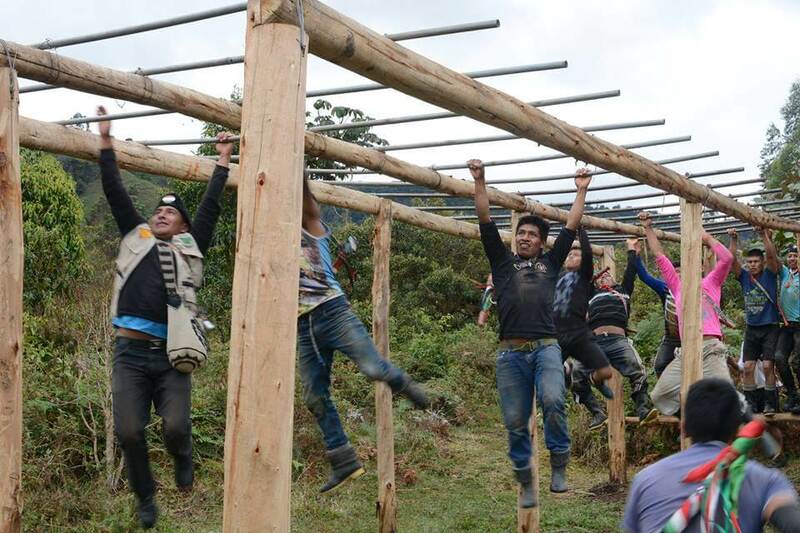 It’s not just strength, it’s also the capacity to solve problems for the wellbeing (“buen vivir”) of the community. 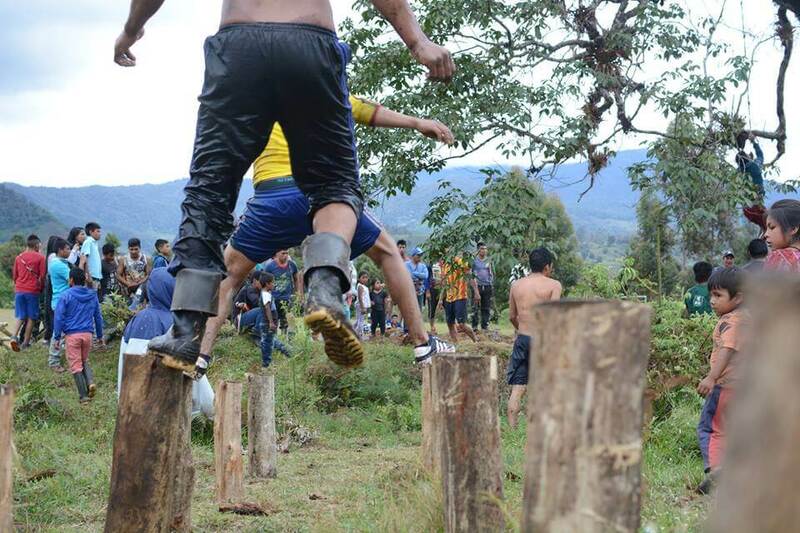 Balance, athleticism, and dedication are developed throughout the course: this obstacle is only ruled completed when the guard lands and launches in one movement into a forward role through mud. 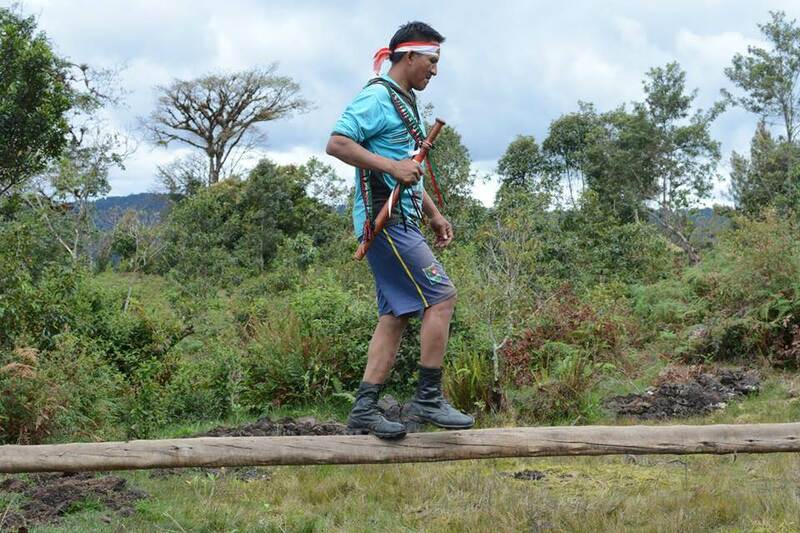 Belsi Rivera is an indigenous guard in the Nasa reservation of Nasa Kiwe. She took part in the struggle for control of the Cerro de Berlin Mountain in Toribio, Cauca, that was occupied by the army. She also works with children for the educational institute of Nasa Kiwe. Another team races to complete the exercise. Members of the community watch the race. 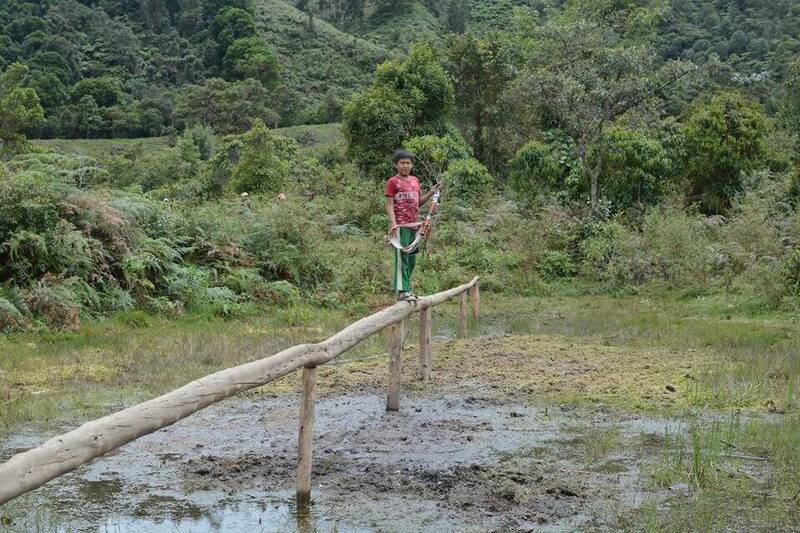 The crossing the bog on a pole proved the most popular spectator attraction. 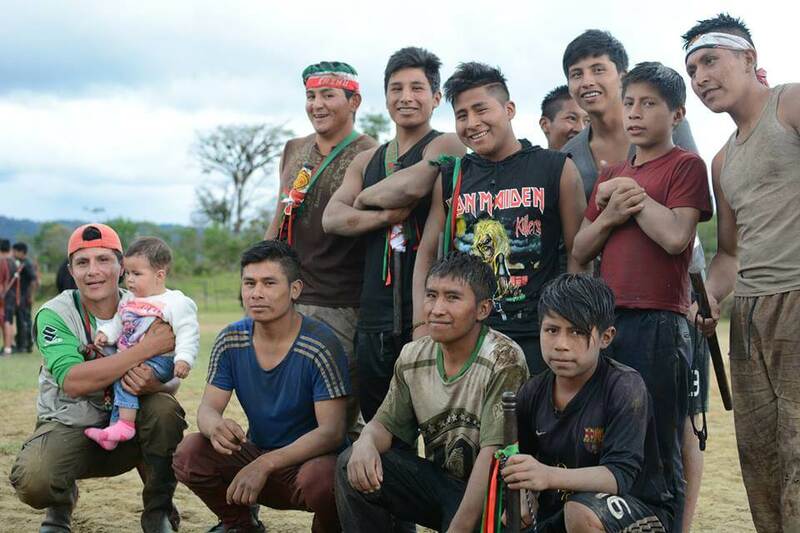 Jesus Bacca Guijano is an indigenous guard in the Nasa reservation of Munchique los Tigres, who has sought to protect water sources from the impact of mining and an unauthorized waste dump, both controlled by businessmen of the Sadovnik family. 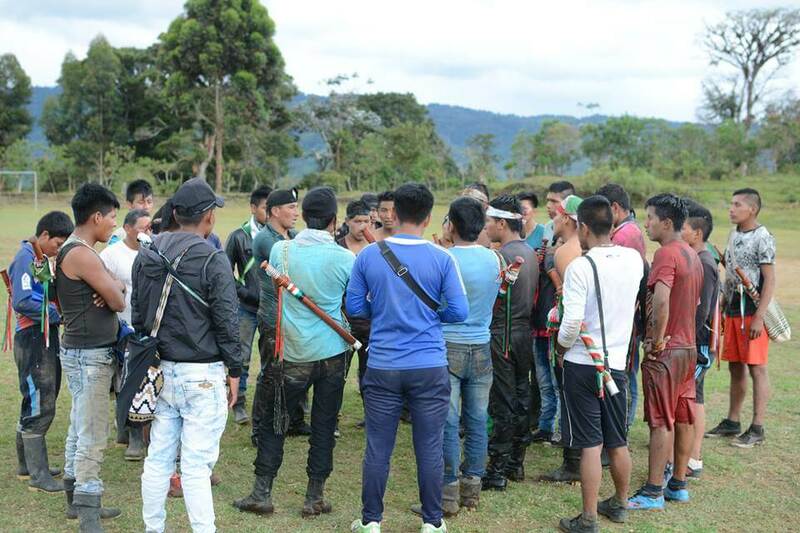 When Bacca led opposition to mining as president of the local JAC (neighborhood action committees – Junta de Accion Comunal), one of the Sadovniks sought to paint him as a member of the ELN guerrilla group. Bacca was detained but found not guilty. 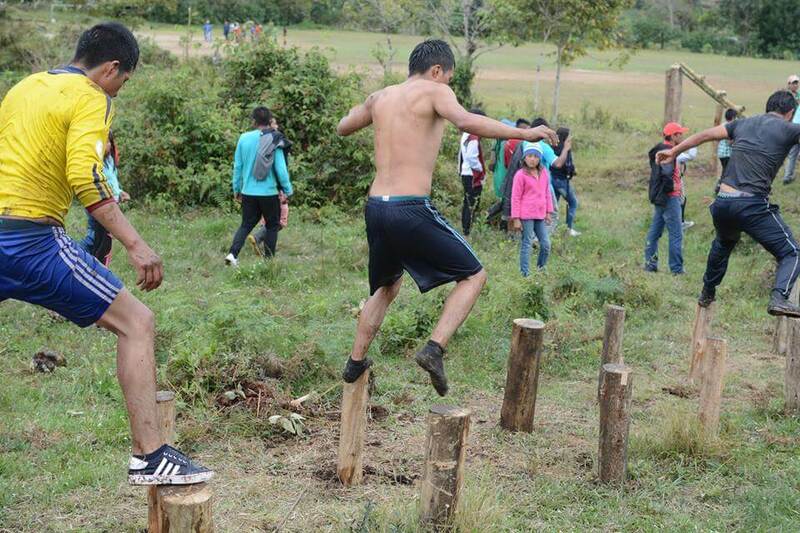 Today, the current governor of Munchique los Tigres is enabling an institutional process that would ensure the continued operations of the Sadovniks’ mine and dump sites. Bacca has continued to speak out against the plans; last month, reservation authorities placed charges of calumny against him. 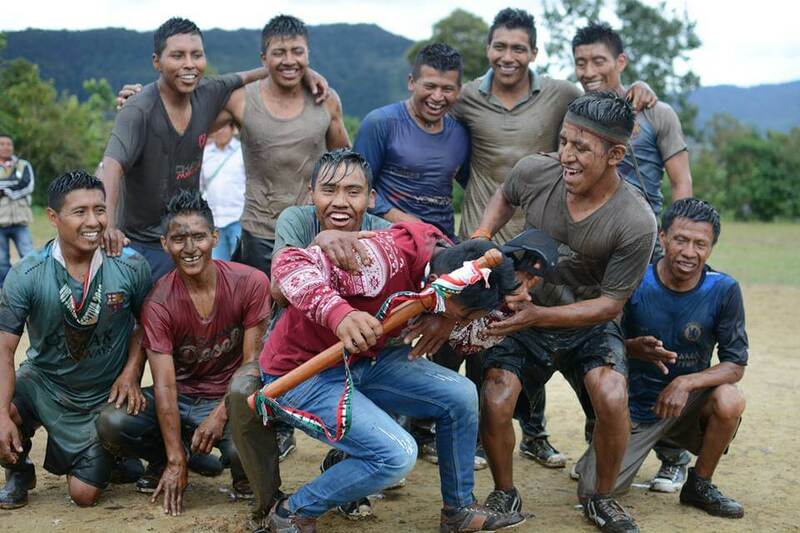 “As indigenous guards, the staff is a symbol of resistance and of the survival of all the community: of all who continue to live committed to the reservations and the territories. 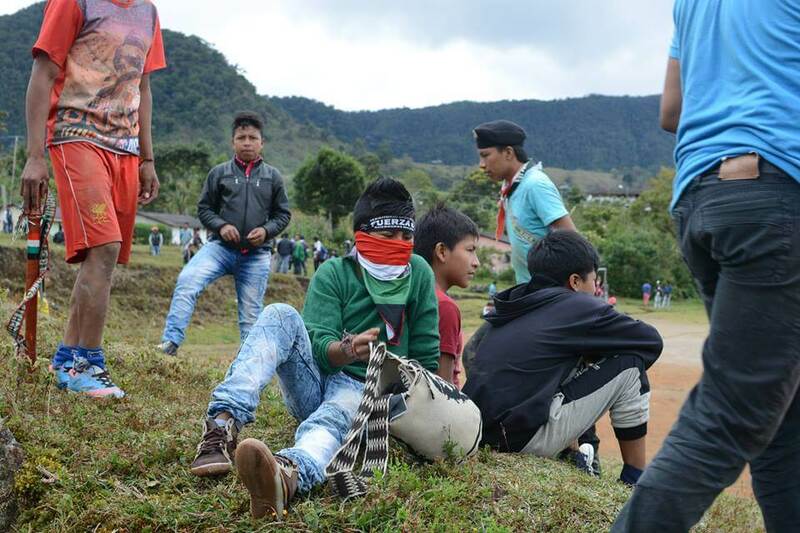 To me it’s symbolic of every member of the community of Munchique los Tigres, not just the indigenous guards,” Bacca told us. After crossing the pole over the bog guards enter a mud-tunnel. 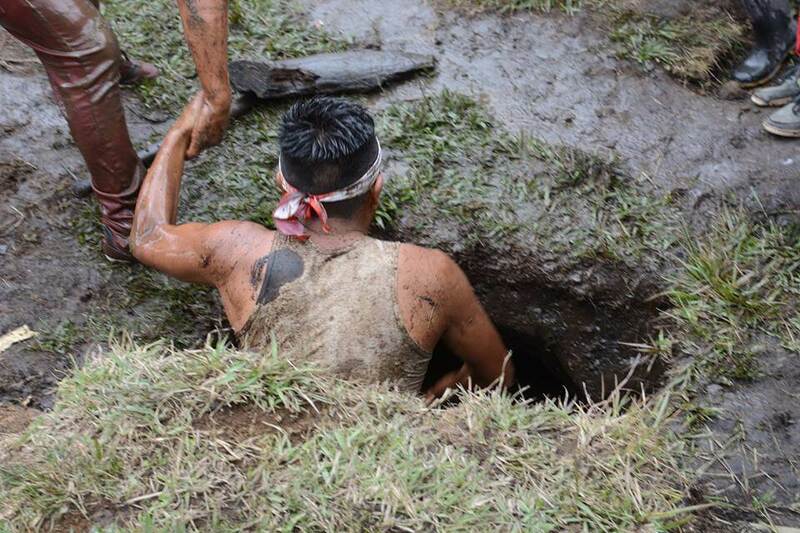 Obstacles develop strength but also test competitors with mental challenges such as claustrophobia. Competitors race towards the finish line. 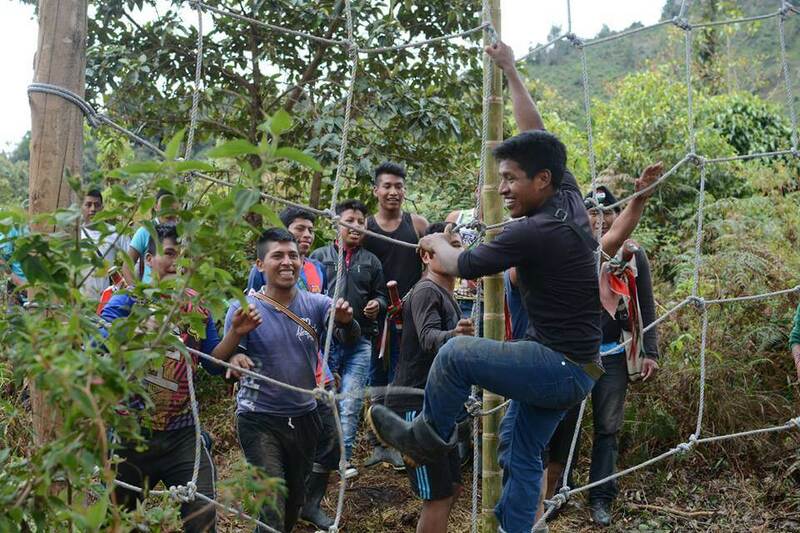 “As indigenous guards we must not receive funding from the state because we’d lose our identity; however it would be a good idea to have projects that would assist not ourselves but our families, so that if there is little work available they could still feed themselves when we are away serving with the indigenous guard. As the day came to a close, the Indigenous guards formed in lines to hear their final times; but in the end, the scores didn’t matter. Everyone agreed that the value of teamwork was a lesson all competitors shared–and because of that shared learning, all competitors won. Indigenous guards pose for group photos after completing the exercise. 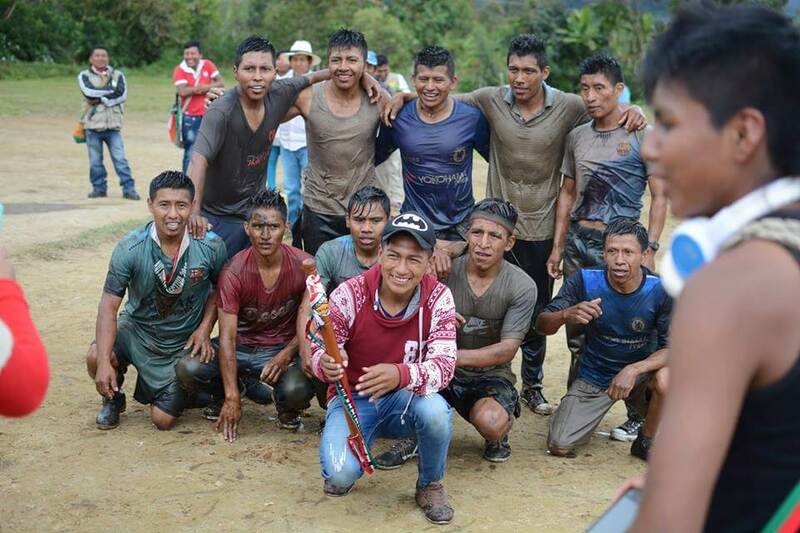 Guards from a reservation in Huila gather for a group photo after completing the race. 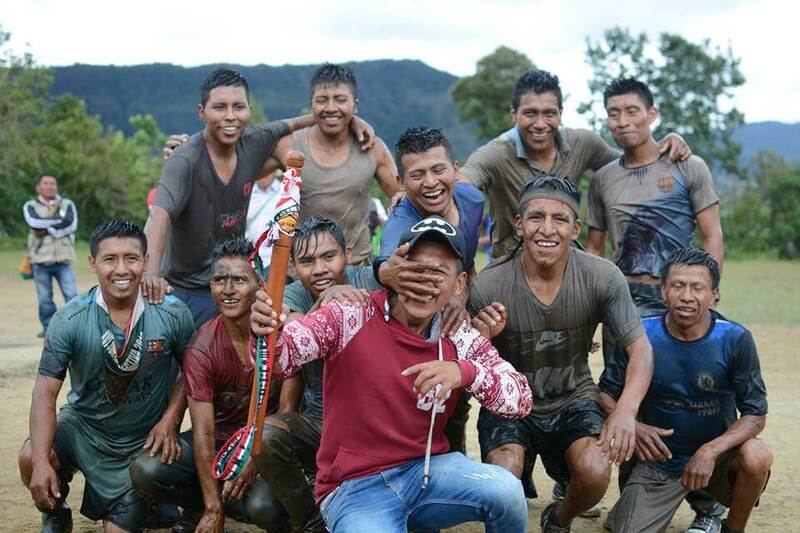 Indigenous guards pose after completing the race. A clean guard gets surprised by the muddied competitors. Later on, the Guards debated about how to encourage greater participation of female guards in future competitions. They also spoke about the importance of maintaining readiness so that they can respond swiftly and effectively to the violence that is now taking place. 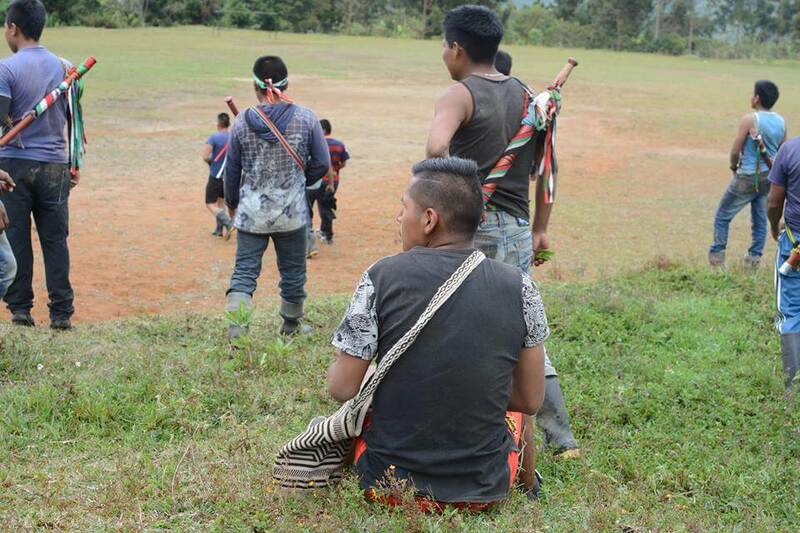 Indigenous guards of a reservation in discussion after the competition. accompanies one into the darkness.